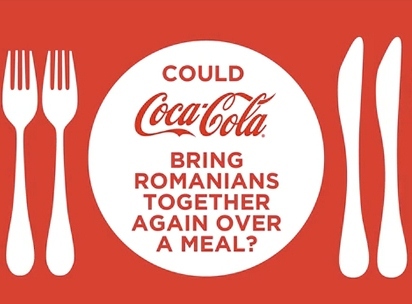 Coca-Cola helps Romanians rediscover the happiness of sharing a meal together. They ran a television ad showing family and friends coming together for a meal with the help of Coca-Cola. In addition they integrated live tweets in this ad and provided a similar experience to people in seven cities whose tweets were streamed. At the bottom of the ad, there was a text bar that hosted tweets from fans featuring the hashtag#LetsEatTogether. MRM live-edited the tweets as they flowed in and chose up to seven tweets to show each time the ad was played. Most of the tweets were addressed to specific people, with friends inviting friends to have a meal together and enjoy each other’s company. Lets now watch this televesion ad. As a result, Coke’s Twitter base in Romania increased 15% and the ad garnered over 1 million social media impressions. Placing live Twitter mentions into a pre-recorded ad presents an incredibly innovative way to combine traditional advertising formats with today’s social media, and proves that you can really invite someone over for a meal through your TV. Click here to see more of Coke's innovative campaigns.